Capitol Management is proud to have made a donation this year to Generosity Feeds. 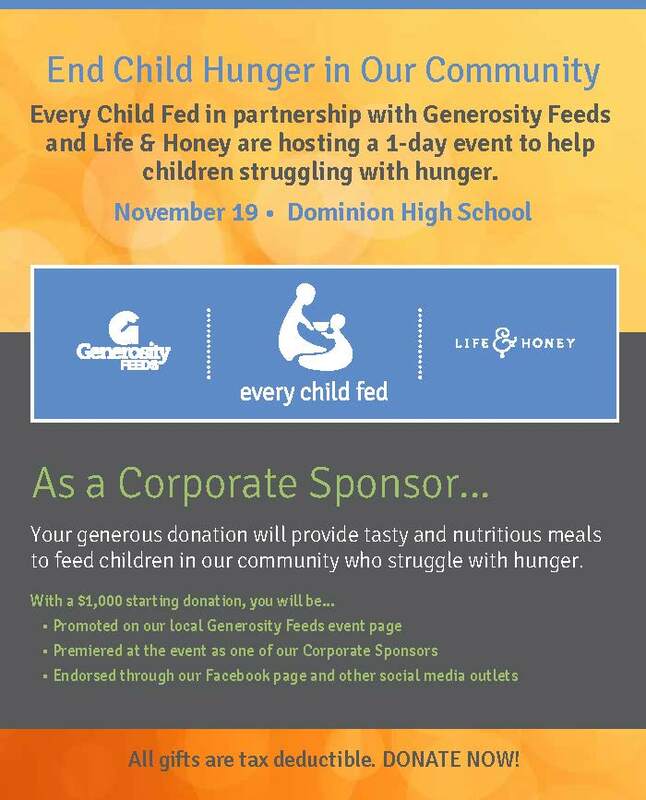 Generosity Feeds and Life & Honey are hosting a 1-day event on November 19, 2017, at Dominion High School to help children struggling with hunger. If you are interested in donating or participating in the event please visit the registration page by clicking here. 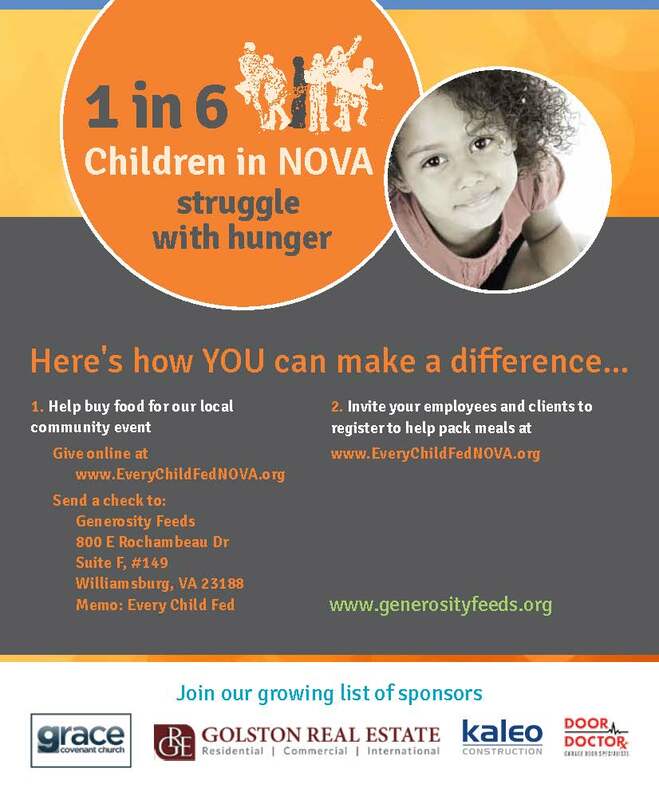 Generosity Feeds is working to feed hungry children in every county across America so all children have the opportunity to thrive. This is happening because of people like you. Your business, school, or church can host a meal packaging event to feed thousands of children in your community who struggle with hunger… build relationships… inspire long-term generosity. Please take a moment and visit their website and help their cause.